You folks should never sell these without a license. If you use GMRS, you need a license and you shouldn’t sell them to people without one. In fact, we do have a disclaimer on the page that says you must have a license. The burden is on the buyer, that’s the way the law is written. There’s more detail here, in this article from 2014. There has been a new development. Last year, there was a significant revision to the rules regarding FRS and GMRS walkie-talkies. I’m not saying you can use them without a license, but the conditions when you do need a license have changed. 10. FRS Combination Radios. The part 95 R&O explained that most FRS radios sold today are relatively inexpensive combination GMRS/FRS radios that have the capability to transmit on twenty-two channels (the seven shared GMRS/FRS channels between the GMRS 462 MHz channels, the seven FRS channels between the GMRS 467 MHz channels, and the eight GMRS 462 MHz channels) with an ERP of two Watts on the GMRS channels and 0.5 Watts on the FRS channels. However, the record indicates that the vast majority of people who use these radios do not obtain a GMRS license. 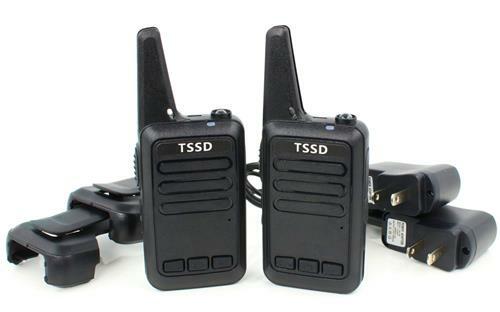 To address the public demand for longer range FRS devices and to resolve the issue of noncompliance with the GMRS licensing obligation, the Commission essentially reclassified these FRS/GMRS combination radios as FRS only, if they meet certain technical requirements. Specifically, to accommodate these radios in FRS, the Commission increased the maximum authorized radiated power limit for FRS channels 1-7 from 0.5 Watts to two Watts, and allotted the GMRS 462 MHz main channels to be shared with FRS with a two watt power limit. The new channels will be numbered FRS channels 15 through 22. In addition, the Commission allotted FRS channels 8 through 14 (the interstitial channels between the GMRS 467 MHz channels, which formerly were designated exclusively for FRS) to Start Printed Page 41099GMRS for use on a shared basis with FRS. These channels will be available to GMRS operators under the same technical limits that currently apply to FRS. The Commission retained the five Watts ERP limit for GMRS operation on the 462 MHz interstitial channels. Consequently, all FRS frequencies will now be shared with GMRS, while the eight GMRS 467 MHz main channels (repeater input channels) will remain exclusively GMRS. In other words, existing GMRS/FRS combination radios already in operation will be reclassified as FRS if the power is less than two Watts ERP and they do not use the 467 MHz main channels, so no individual license will be is required. Otherwise, devices not meeting these requirements will be classified as GMRS where an individual license is required. The Commission stated that the two watt limit for FRS is appropriate because many of the existing combination GMRS/FRS radios already operate under that level with no significant complaints about interference or other problems, and it provides a reasonable balance between the desire for increased range over the prior FRS power levels and battery life. Further, the two watt limit is the power used for part 95 MURS devices which are also licensed by rule, both MURS and FRS facilitate various applications (e.g., voice and data) for the general public in the VHF frequency range with comparable spectral environments, and use of this power limit has worked safely and appropriately in this analogous service. The total output power is less than two watts. FRS uses “sidebands” not used by GMRS. In other words, GMRS uses 467.575MHz, that’s one of its frequencies. FRS use 467.5875MHz, which is a bit of unused frequency between 467.575 and 467.6. As long as FRS isn’t using one of the primary frequencies, it’s ok. If a radio doesn’t use one of those exact frequencies, and it’s under two watts, you don’t need a license. Period. Even if it uses other GMRS frequencies, that’s fine, according to what the FCC report says.